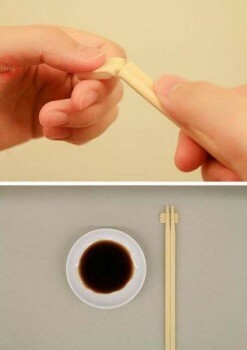 Last month, you may have seen this clever chopstick hack on social media and asked yourself, “Why didn’t I think of that?” You simply break the top off your disposable wooden chopsticks to create a chopstick rest, avoiding the mess of laying dirty chopsticks on the table. Well, it turns out somebody did think of it. And she’s from Hawaii. It’s easy to tell Mylen Fe Yamamoto is from Hawaii because like most local people, she juggles more than one job. 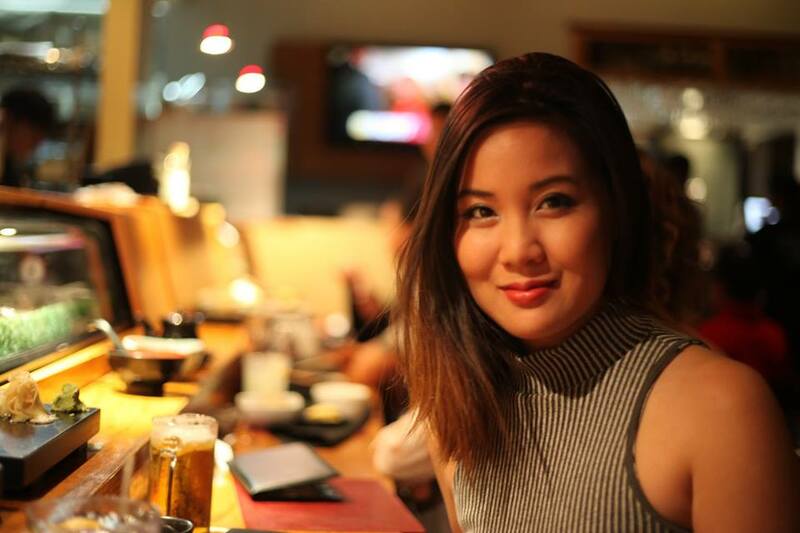 Living in Los Angeles now, Yamamoto is a business professor at Loyola Marymount University and a digital media executive producer at her company CliqueNow. Now she’s added another job to her LinkedIn profile: inventor. Soon after that chopstick hack blew up on social media last month, the Internet proved that breaking the top off your chopsticks isn’t so easy – unless you have freakish finger strength or you don’t mind splinter shards in your spicy ahi. Turns out Yamamoto has been working on a patent pending version of this hack since last April. She calls her invention “Cropsticks” and she recently launched a Kickstarter to help speed up production. On her first day she raised an amazing 24 percent of her goal. Cropsticks are getting national attention on social media and were even featured on NBC Asian America. I got to talk to Mylen about her “why didn’t I think of that?” invention. How old were you when you first used chopsticks? Probably around 8. Grandma Yamamoto taught me how to use chopsticks and she’d make me kinako mochi. Since this is a Hawaii interview I have to ask, what high school you grad? Moanalua High School. GO MENES! What were you like growing up in Hawaii? I used to make brownies in high school to raise money for field trips. My nickname was “Brownie Gurl.” Guess I was always entrepreneurial. Pitch us the idea for Cropsticks. 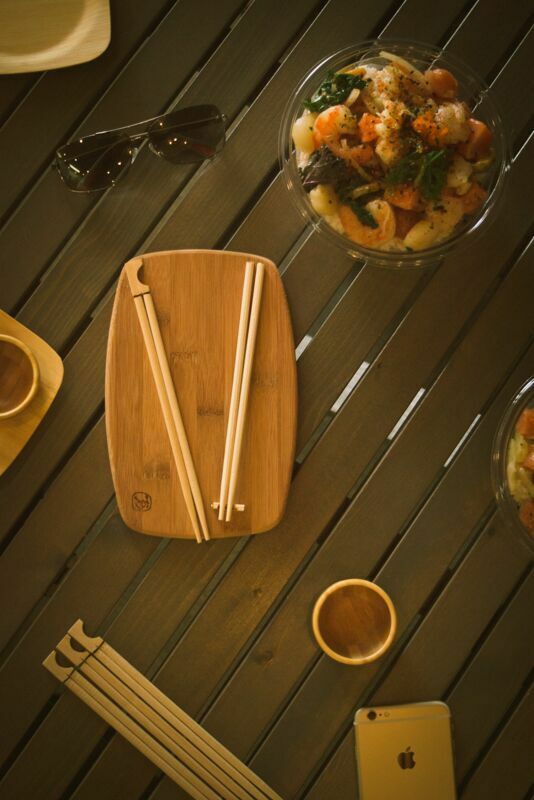 Cropsticks are mess-free thanks to the convenient rest and eco-friendly because they only use fast-growing bamboo. It’s the utensil you’ve always known, made better. The idea came to me on a flight when my chopsticks kept rolling off the tray table. Thought to myself that there just had to be a better way. I’ve had ideas for plenty of inventions – alcohol shave ice, a burp cloth with a magnet so it doesn’t fall off your shoulder – what made you actually make this invention a reality? I was passionate about it, did the legwork and put myself out there. You know you have something when people share your excitement. But back to you, pleeeaase make the alcohol shave ice! What were your thoughts when that viral meme popped up, revealing your secret invention to the world? How did you assemble your team? They’re all folks I knew I would work with when the right opportunity came. I met Jay at a conference called Discover Me. His family has 15-plus years of bamboo manufacturing experience. Ron Tansingco is a film and TV executive (and full disclosure, is my lovely fiance). He handles our business and legal. Shannon Takeba is my best friend, she’s handling our financial strategy. How are you making Cropsticks more sustainable? We’re promising to make Cropsticks out of 100 percent sustainable materials. Forty-five percent of disposable chopsticks are still made from trees. Trees take 20-plus years to reach full height but bamboo reaches full maturity in 4.5 years and if you cut it, it continues to grow. Beyond bamboo, we’re looking into materials like corn husks for future products. Wayne Gretzky said, “You miss 100 percent of the shots you don’t take.” Do you ever think about missing and the entrepreneurial “F” word, “failure”? Love that saying. I took a shot with my first business (CliqueNow) and at one point only had $20 in my bank account. This is important: It’s all about how you respond. For me, survival mode kicked in and I got more aggressive with my books. Happy to report, CliqueNow has since grown more profitable every year. Through CliqueNow Mylen manages Youtube stars the Fung Bros.
What’s the one lesson you’ve learned so far launching Cropsticks? Hire an attorney from the beginning if you can afford it to secure your IP (intellectual property) from the start. You live in LA now. What do you miss most about Hawaii? Celebrating at friend and family get-togethers, McDonald’s Haupia Pie and my dogs. Top five favorite local restaurants where you’d love to use your Cropsticks? Roy’s, Morimoto’s, Doraku, Alan Wong and off-brand but still grand, McDonald’s Hawaii. Give local entrepreneurs one piece of advice. This advice is specifically for friends in Hawaii who went to public school like me: Hey, no be shame where you came from. If you have a good idea and are good to people, then you’re just as good as anyone else so BE PROUD. Now put yourself out there! 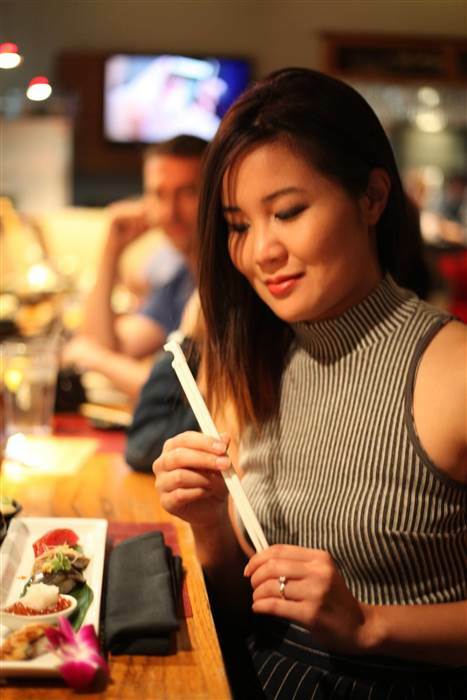 To kick in and support Mylen and her Cropsticks visit the “Cropsticks – the Real “Mind Blowing” Chopsticks” page on Kickstarter.